PI- National Science Foundation (NSF)- CAREER Award: IIS-0952977: CAREER: Extensible Personalization of Spatial and Spatio-temporal Database Management Systems. PI: Mohamed Mokbel, $530,000, 3/31/10 - 2/28/15. 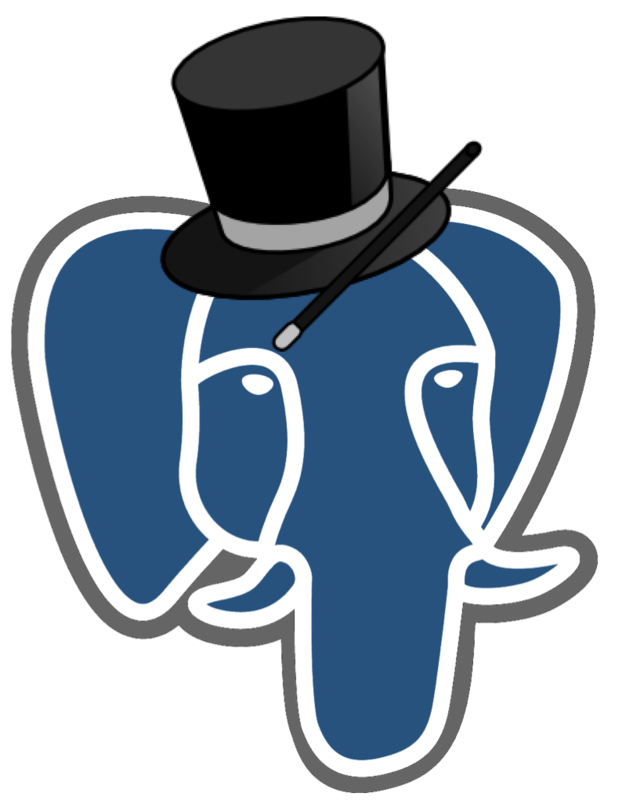 SpatialHadoop is an open source MapReduce framework with built-in support for spatial data. It employs the MapReduce programming paradigm for distributed processing to build a general purpose tool for large scale analysis of spatial data on large clusters. Users can interact easily with SpatialHadoop through a high level language with built-in support for spatial data types and spatial operations. Existing spatial data sets can be loaded in SpatialHadoop with the built in spatial data types point, polygon and rectangle. SpatialHadoop is also extensible and more data types can be added by users. In addition, the data sets are stored efficiently using built-in indexes (Grid file or R-tree) which speed up the retrieval and processing of these data sets. Users can build an index of their choice with a single command that runs in parallel on the machines in the cluster. Once the index is built, users can start analyzing their data sets using the built in spatial operations (range query, k nearest neighbor and spatial join). The extensibility of SpatialHadoop allows users to implement more spatial operations as MapReduce programs. For more information, please visit: "http://spatialhadoop.cs.umn.edu/"
RecDB is an open source recommendation engine built entirely inside PostgreSQL 9.2. RecDB allows application developers to build recommendation applications in a heartbeat through a wide variety of built-in recommendation algorithms like user-user collaborative filtering, item-item collaborative filtering, singular value decomposition. Applications powered by RecDB can produce online and flexible personalized recommendations to end-users. An out-of-the-box tool for web and mobile developers to implement a myriad of recommendation applications. The system is easily used and configured so that a novice developer can define a variety of recommenders that fits the application needs in few lines of SQL. Crafted inside PostgreSQL database engine, RecDB is able to seamlessly integrate the recommendation functionality with traditional database operations, i.e., SELECT, PROJECT, JOIN, in the query pipeline to execute ad-hoc recommendation queries. The system optimizes incoming recommendation queries (written in SQL) and hence provides near real-time personalized recommendation to a high number of end-users who expressed their opionions over a large pool of items. For more information, please visit: "http://www-users.cs.umn.edu/~sarwat/RecDB/"
Sindbad is a location-based social networking system. Sindbad distinguishes itself from existing social networking within every aspect of social interaction and functionality in the system. For example, posted messages in Sindbad have inherent spatial extents (i.e., spatial location and spatial range) and systems (e.g., Facebook and Twitter) as it injects location-awareness users receive friend news feed based on their locations the spatial extents of messages posted by their friends. Currently, Sindbad supports three new services beyond traditional social networking services, namely, location-aware news feed, location-aware recommendation, and location-aware ranking. These new services not only consider social relevance for its users, but they also consider spatial relevance. Since location-aware social networking systems have to deal with large number of users, large number of messages, and user mobility, efficiency and scalability are important issues. To this end, Sindbad encapsulates its three main services inside the query processing engine of PostgreSQL. Usage and internal functionality of Sindbad, implemented with PostgreSQL and Google Maps API, are demonstrated through a web interface. For more information, please visit: "http://sindbad.cs.umn.edu/"
MinnesotaTG is a project developed at the University of Minnesota. MinnesotaTG is built based on two existing traffic generators: (1) BerlinMod and (2) Thomas-Brinkhoff. The purpose of MinnesotaTG is to take an arbitrary region in the United States and generate traffic data from that region. Without this tool, generating this traffic is a complicated and drawn out process because of the number of configuration steps necessary to get either Thomas-Brinkhoff or BerlinMod both up and running, and able to work on a user specified region. The generation of the traffic is not done by the tool itself, but rather it is performed by these two different traffic generators. For more information, please visit: "http://mntg.cs.umn.edu/"
Plenary Keynote: Mohamed F. Mokbel "The Era of Big Spatial Data". A Plenary Keynote for three parallel international conferences: IEEE Conference on Big Data and Cloud Computing (BDCloud), IEEE Conference on Social Computing and Networking (SocialCom), and IEEE Conference on Sustainable Computing (SustainCom) Atlanta, GA, October 2016. .
VLDB 10-Years Best Paper Award Talk: Mohamed F. Mokbel "Location Data Management: A Tale of Two Systems and the Next Destination!". In the International Conference on Very Large Databases, VLDB 2016, New Delhi, India, September 2016. Keynote: Mohamed F. Mokbel "The Era of Big Spatial Data". In the 27th Australian Database Conference (ADC), Sydney, Australia, September 2016. Tutorial: Amr Magdy and Mohamed F. Mokbel " Microblogs Data Management and Analysis". In ACM International Conference on Management of Data, SIGMOD 2016, San Francisco, CA, June, 2016. Tutorial: Ahmed Eldawy and Mohamed F. Mokbel " The Era of Big Spatial Data". In the IEEE International Conference on Data Engineering, ICDE 2016, Helsinki, Finland, May, 2016. Tutorial: Amr Magdy and Mohamed F. Mokbel " Microblogs Data Management and Analysis". In the IEEE International Conference on Data Engineering, ICDE 2016, Helsinki, Finland, May, 2016. Tutorial: Ahmed Eldawy and Mohamed F. Mokbel " The Era of Big Spatial Data". In the IEEE International Conference on Big Data, BigData 2015, Santa Clara, CA, Oct., 2015. (90-minutes tutorial). Keynote: Mohamed F. Mokbel "Towards a Microblogs Data Management System". In the 6th International Workshop with Mentors on Databases, Web and Information Management for Young Researchers, Nara, Japan, August 2015. Tutorial: Ahmed Eldawy and Mohamed F. Mokbel " The Era of Big Spatial Data: Challenges and Opportunities". In the 16th IEEE International Conference on Mobile Data Management, MDM 2015, Pittsburgh, PA, June, 2015. (90-minutes tutorial). Keynote: Mohamed F. Mokbel "GIS & The Era of Big Spatial Data". In the 10th National Saudi GIS Symposium, SaudiGIS, Dammam, KSA, May 2015. Tutorial: Mohamed Sarwat and Mohamed F. Mokbel and Mohamed Sarwat " MobiSocial (Mobile and Social) Data Management: A Tutorial". In IEEE International Conference on Cloud Engineering, IC2E 2015, Tempe, AZ, Mar., 2015. (90-minutes tutorial). Keynote: Mohamed F. Mokbel "SpatialHadoop: A MapReduce Framework for Spatial Data". ACM SIGSPATIAL International Workshop on Analytics for Big Geospatial Data, BigSpatial, 2014, Dallas, TX, Nov., 2014. Keynote: Mohamed F. Mokbel "SpatialHadoop: A MapReduce Framework for Spatial Data". In the Korean Conference of GIS, Seoul, South Korea, August 2014. Invited Tutorial: Mohamed F. Mokbel "SpatialHadoop: A MapReduce Framework for Spatial Data". In the 6th International Workshop with Mentors on Databases, Web and Information Management for Young Researchers, Fukouka, Japan, August 2014. (3-hours tutorial). Keynote: Mohamed F. Mokbel "SpatialHadoop: A MapReduce Framework for Spatial Data". In the First IQmulus Workshop on Processing Large Geospatial Data, Cardiff, UK, July 2014. Keynote: Mohamed F. Mokbel "Towards GIS Innovation in Saudi Arabia". In the 9th National Saudi GIS Symposium, SaudiGIS, Dammam, KSA, April 2014. Keynote: Mohamed F. Mokbel " The Anatomy of Sindbad: A Location-based Social Networking System". In ACM SIGSPATIAL International Workshop on Location-Based Social Networks, LBSN 2012, co-located with ACM SIGSPATIAL GIS, Redondo Beach, CA, November, 2012. Keynote: Mohamed F. Mokbel " Personalization, Socialization, and Recommendations in Location-based Services 2.0.". In International ACM Workshop on Data Engineering for Wireless and Mobile Access, MobiDE 2011, co-located with ACM SIGMOD, Athens, Greece, June 2011. Amr Magdy and Mohamed F. Mokbel " Demonstration of Kite: A Scalable System for Microblogs Data Management". In Proceedings of the IEEE International Conference on Data Engineering, ICDE 2017, San Diego, CA, Apr, 2017. Constantinos Costa, Georgios Chatzimilioudis, Demetrios Zeinalipour-Yazti and Mohamed Mokbel " SPATE: Compacting and Exploring Telco Big Data". In Proceedings of the IEEE International Conference on Data Engineering, ICDE 2017, San Diego, CA, Apr, 2017. Louai Alarabi, Mohamed Mokbel, Bin Cao, Liwei Zhao, Anas Basalamah. "A Demonstration of SHAREK: An Efficient Matching Framework for Ride Sharing Systems". In Proceedings of the ACM SIGSPATIAL International Conference on Advances in Geographic Information Systems, SIGSPATIAL 2016, San Francisco, CA, November 2016. Ahmed Eldawy, Mohamed F. Mokbel, and Christopher Jonathan. " A Demonstration of HadoopViz: An Extensible MapReduce System for Visualizing Big Spatial Data". In Proceedings of the International Conference on Very Large Databases, VLDB 2015, Kohala Coast, Hawaii, August, 2015. Ahmed Eldawy, Saif Alharthi, Abdulhadi Alzaidy, Anas Daghistani, Sohaib Ghani, and Mohamed Mokbel. " A Demonstration of Shahed: A MapReduce-based System for Querying and Visualizing Satellite Data". In Proceedings of the IEEE International Conference on Data Engineering, ICDE 2015, Seoul, South Korea, April, 2015. Amr Magdy, Louai Alarabi, Saif Al-Harthi, Mashaal Musleh, Thanaa Ghanem, Sohaib Ghani and Mohamed Mokbel. " Demonstration of Taghreed: A System for Querying, Analyzing, and Visualizing Geotagged Microblogs". In Proceedings of the IEEE International Conference on Data Engineering, ICDE 2015, Seoul, South Korea, April, 2015. Amr Magdy, Ahmed Aly, Mohamed Mokbel, Sameh Elnikety, Yuxiong He, and Suman Nath. " Mars: Real-time Spatio-temporal Queries on Microblogs". In Proceedings of the IEEE International Conference on Data Engineering, ICDE 2014, Chicago, IL, April, 2014. Ahmed Eldawy and Mohamed Mokbel. " Pigeon: A Spatial MapReduce Language". In Proceedings of the IEEE International Conference on Data Engineering, ICDE 2014, Chicago, IL, April, 2014. Mohamed Mokbel, Louai Alarabi, Jie Bao, Ahmed Eldawy, Amr Magdy, Mohamed Sarwat, Ethan Waytas, and Steven Yackel. " A Demonstration of MNTG - A Web-based Road Network Traffic Generator". In Proceedings of the IEEE International Conference on Data Engineering, ICDE 2014, Chicago, IL, April, 2014. Ahmed Eldawy and Mohamed F. Mokbel. " A Demonstration of SpatialHadoop: An Efficient MapReduce Framework for Spatial Data". In Proceedings of the International Conference on Very Large Databases, VLDB 2013, Riva Del Garda, Italy, August, 2013. Abdeltawab Hendawi, Jie Bao, and Mohamed F. Mokbel. " iRoad: A Framework For Scalable Predictive Query Processing On Road Networks". In Proceedings of the International Conference on Very Large Databases, VLDB 2013, Riva Del Garda, Italy, August, 2013. Mohamed Sarwat, James Avery, and Mohamed F. Mokbel. " RecDB in Action: Recommendation made easy in Database Systems". In Proceedings of the International Conference on Very Large Databases, VLDB 2013, Riva Del Garda, Italy, August, 2013. Mohamed Sarwat, Jie Bao, Ahmed Eldawy, Justin J. Levandoski, Amr Magdy, and Mohamed F. Mokbel. " Sindbad: A Location-based Social Networking System". In Proceedings of ACM SIGMOD Conference on Management of Data, ACM SIGMOD 2012, Scottsdale, AZ, May, 2012. Badrish Chandramouli, Justin J. Levandoski, Ahmed Eldawy and Mohamed F. Mokbel. " StreamRec: A Real-Time Recommender System". In Proceedings of ACM SIGMOD Conference on Management of Data, ACM SIGMOD 2011, Athenes, Greece, Jun., 2011. Justin J. Levandoski, Mohamed F. Mokbel, Mohamed Khalefa, and Venkateshwar R. Korukanti. " A Demonstration of FlexPref: Extensible Preference Evaluation inside the DBMS Engine". In Proceedings of ACM SIGMOD Conference on Management of Data, ACM SIGMOD 2010, Indianapolis, IN, Jun., 2010. Abdeltawab Hendawi, Mohamed Ali, Mohamed F. Mokbel. " Panda*: A Generic and Scalable Framework for Predictive Spatio-temporal Queries". GeoInformatica. Accepted. To Appear, 2017. Ahmed Eldawy, Mohamed F. Mokbel. " The Era of Big Spatial Data: A Survey". Foundations and Trends in Databases. 6(3-4): 163-273, 2016. Amr Magdy, Mohamed F. Mokbel, Sameh Elnikety, Suman Nath, and Yuxiong He. " Venus: Scalable Real-time Spatial Queries on Microblogs with Adaptive Load Shedding". IEEE Transactions on Knowledge and Data Engineering, TKDE 2016, 28(2): pp. 356-370. Jie Bao, Yu Zheng, David Wilkie, Mohamed F. Mokbel. " Recommendations in Location-based Social Networks: A Survey". GeoInformatica 2015 19(3): pp. 525-565, 2015. Ahmed Eldawy and Mohamed F. Mokbel. " The Era of Big Spatial Data: A Survey". The inagural English issue of the Journal of Database Society of Japan, DBSJ 2015, 13(1), pp. 25-36, 2015. Mohamed Sarwat, Justin Levandoski, Ahmed Eldawy, and Mohamed F. Mokbel. " LARS*: A Scalable and Efficient Location-Aware Recommender System". IEEE Transactions on Knowledge and Data Engineering, TKDE 2014, 26(6)1384-1399, 2014. Justin Levandoski, Ahmed Eldawy, Mohamed F. Mokbel, and Mohamed Khalefa. " Flexible and Extensible Preference Evaluation in Database Systems". ACM Transactions on Database Systems, TODS 2013, 38(3), 2013. Hicham Elmongui, Mohamed F. Mokbel, and Walid G. Aref. " Continuous Aggregate Nearest Neighbor Queries". In GeoInformatica 2013, 17(1): 63-95, 2013. Mohamed Sarwat, Raha Moraffah, Mohamed F. Mokbel and James Avery " Database System Support for Personalized Recommendation Applications". In Proceedings of the IEEE International Conference on Data Engineering, ICDE 2017, San Diego, CA, Apr, 2017. Constantinos Costa, Georgios Chatzimilioudis, Demetrios Zeinalipour-Yazti, Mohamed F. Mokbel " Efficient Exploration of Telco Big Data with Compression and Decaying". In Proceedings of the IEEE International Conference on Data Engineering, ICDE 2017, San Diego, CA, Apr, 2017. Ahmed Eldawy, Mohamed F. Mokbel and Christopher Jonathan. " HadoopViz: A MapReduce Framework for Extensible Visualization of Big Spatial Data". In Proceedings of the IEEE International Conference on Data Engineering, ICDE 2016, Helsinki, Finland, May, 2016. Amr Magdy, Rami Alghamdi, and Mohamed F. Mokbel. " On Main-memory Flushing in Microblogs Data Management Systems". In Proceedings of the IEEE International Conference on Data Engineering, ICDE 2016, Helsinki, Finland, May, 2016. Christopher Jonathan, Amr Magdy, Mohamed F. Mokbel and Albert Jonathan. " GARNET: A Holistic System Approach for Trending Queries in Microblogs". In Proceedings of the IEEE International Conference on Data Engineering, ICDE 2016, Helsinki, Finland, May, 2016. Amr Magdy, Ahmed Aly, Mohamed Mokbel, Sameh Elnikety, Yuxiong He, Suman Nath and Walid Aref. "GeoTrend: Spatial Trending Queries on Real-time Microblogs". In Proceedings of the ACM SIGSPATIAL International Conference on Advances in Geographic Information Systems, SIGSPATIAL 2016, San Francisco, CA, November 2016. Ahmed Eldawy, Louai Alarabi and Mohamed F. Mokbel. " Spatial Partitioning Techniques in SpatialHadoop". In Proceedings of the the International Conference on Very Large Databases, VLDB 2015, Kohala Coast, HI, Aug, 2015. Ahmed Eldawy and Mohamed F. Mokbel. " SpatialHadoop: A MapReduce Framework for Spatial Data". In Proceedings of the IEEE International Conference on Data Engineering, ICDE 2015, Seoul, South Korea, April, 2015. Ahmed Eldawy, Mohamed F. Mokbel, Saif Alharthi, Abdulhadi Alzaidy, Kareem Tarek, and Sohaib Ghani. " SHAHED: A MapReduce-based System for Querying and Visualizing Spatio-temporal Satellite Data". In Proceedings of the IEEE International Conference on Data Engineering, ICDE 2015, Seoul, South Korea, April, 2015. (Runner-Up for Best Poster Paper Award). Abdeltawab M. Hendawi, Jie Bao, Mohamed F. Mokbel, and Mohamed Ali. " Predictive Tree: An Efficient Index for Predictive Queries On Road Networks". In Proceedings of the IEEE International Conference on Data Engineering, ICDE 2015, Seoul, South Korea, April, 2015. Ahmed Eldawy, Mostafa Elganainy, Ammar Bakeer, Ahmed Abdelmotaleb and Mohamed F. Mokbel. "Sphinx: Distributed Execution of Interactive SQL Queries on Big Spatial Data (Poster Paper)". In Proceedings of the ACM SIGSPATIAL International Conference on Advances in Geographic Information Systems, SIGSPATIAL GIS 2015, Seattle, WA, November 2015. Reem Y. Ali, Venkata M.V. Gunturi, Shashi Shekhar, Ahmed Eldawy, Mohamed F. Mokbel, Andrew J. Kotz and William F. Northrop. "Future Connected Vehicles: Challenges and Opportunities for Spatio-temporal Computing (Vision paper)". In Proceedings of the ACM SIGSPATIAL International Conference on Advances in Geographic Information Systems, SIGSPATIAL GIS 2015, Seattle, WA, November 2015. (Runner-Up for Best Vision Paper Award). Mohamed Sarwat, James L. Avery, and Mohamed F. Mokbel. " Recathon: A Middleware for Context-Aware Recommendation in Database Systems". In Proceedings of the IEEE International Conference on Mobile Data Management, MDM 2015, Pittsburgh, PA, USA, June 2015. (Best Paper Award). Amr Magdy and Mohamed F. Mokbel. " Towards a Microblogs Data Management System". In Proceedings of the IEEE International Conference on Mobile Data Management, MDM 2015, Pittsburgh, PA, USA, June 2015. Bin Cao, Louai Alarabi, Mohamed F. Mokbel, and Anas Basalamah. " SHAREK: A Scalable Dynamic Ride Sharing System". In Proceedings of the IEEE International Conference on Mobile Data Management, MDM 2015, Pittsburgh, PA, USA, June 2015. Mohamed Sarwat, Sameh Elnikety, Yuxiong He, and Mohamed F. Mokbel. " Horton: A Distributed System for Processing Declarative Reachability Queries over Partitioned Graphs". In Proceedings of the International Conference on Very Large Databases, VLDB 2014, Hangzhou, China, Sept, 2014. Amr Magdy, Mohamed Mokbel, Sameh Elnikety, Suman Nath, and Yuxiong He. " Mercury: A Memory-Constrained Spatio-temporal Real-time Search on Microblogs". In Proceedings of the IEEE International Conference on Data Engineering, ICDE 2014, Chicago, IL, April, 2014. Jie Bao and Mohamed F. Mokbel. " GeoRank: An Efficient Location-Aware News Feed Ranking System". In Proceedings of the ACM SIGSPATIAL International Conference on Advances in Geographic Information Systems, SIGSPATIAL GIS 2013, Orlando, Florida, November 2013 (acceptance rate 17%). Ahmed Eldawy, Yuan Li, Mohamed Mokbel and Ravi Janardan. " CG_Hadoop: Computational Geometry in MapReduce". In Proceedings of the ACM SIGSPATIAL International Conference on Advances in Geographic Information Systems, SIGSPATIAL GIS 2013, Orlando, Florida, November 2013 (acceptance rate 17%). Mohamed F. Mokbel, Louai Alarabi, Jie Bao, Ahmed Eldawy, Amr Magdy, Mohamed Sarwat, Ethan Waytas, and Steven Yackel. "MNTG: An Extensible Web-based Traffic Generator". In Proceedings of the 13th International Symposium on Spatial and Temporal Databases, SSTD 2013, Munich, Germany, August 2013. Mohamed Sarwat, Ahmed Eldawy, Mohamed F. Mokbel, and John Riedl. "Plutus: Leveraging Location-Based Social Networks in Recommending Potential Customers to Venues". In Proceedings of the IEEE International Conference on Mobile Data Management, MDM 2013, Milan, Italy, June 2013. (full presentation, acceptance rate 35%). Justin J. Levandoski, Mohamed Sarwat, Ahmed Eldawy, and Mohamed F. Mokbel. " LARS: A Location-Aware Recommender System". In Proceedings of the IEEE International Conference on Data Engineering, ICDE 2012, Washington D.C., April 2012. Jie Bao, Mohamed F. Mokbel, Chi-Yin Chow. " GeoFeed: A Location Aware News Feed System". In Proceedings of the IEEE International Conference on Data Engineering, ICDE 2012, Washington D.C., April 2012. Abdeltawab Hendawi and Mohamed F. Mokbel. " Panda: A Predictive Spatio-Temporal Query Processor". In Proceedings of the ACM SIGSPATIAL International Conference on Advances in Geographic Information Systems, SIGSPATIAL GIS 2012, Redondo Beach, California, November 2012. Jie Bao, Yu Zheng and Mohamed Mokbel. " Location-based and Preference-Aware Recommendation Using Sparse Geo-Social Networking Data". In Proceedings of the ACM SIGSPATIAL International Conference on Advances in Geographic Information Systems, SIGSPATIAL GIS 2012, Redondo Beach, California, November 2012. Justin J. Levandoski, Mohamed Sarwat, Mohamed F. Mokbel, and Michael D. Ekstrand . " RecStore: An Extensible and Adaptive Framework for Online Recommender Queries inside the Database Engine". In Proceedings of the International Conference on Extending Database Technology, EDBT 2012, Berlin, Germany, March 2012. Justin J. Levandoski, Michael D. Ekstrand, Michael J. Ludwig, Ahmed Eldawy, Mohamed F. Mokbel and John T. Riedl. " RecBench: Benchmarks for Evaluating Performance of Recommender System Architectures". In Proceedings of the International Conference on Very Lage Databases, VLDB 2011, Seattle, WA, September 2011. Mohamed Khalefa, Mohamed F. Mokbel, and Justin Levandoski. "PrefJoin: An Efficient Preference-aware Join Operator ". In Proceedings of the IEEE International Conference on Data Engineering, ICDE 2011, Hannover, Germany, April 2011 (full paper, acceptance rate 19.8%). Justin Levandoski, Mohamed F. Mokbel, and Mohamed Khalefa. "Preference Query Evaluation Over Expensive Attributes". In Proceedings of the ACM International Conference on Information and Knowledge Management, ACM CIKM 2010, Toronto, Canada, October 2010, pages: 319-328. (full paper, acceptance rate 13.4%). Mohamed Khalefa, Mohamed F. Mokbel, and Justin Levandoski. "Skyline Query Processing for Uncertain Data". In Proceedings of the ACM International Conference on Information and Knowledge Management, ACM CIKM 2010, Toronto, Canada, October 2010, pages: 1293-1296. (short paper, acceptance rate 31.3%). Justin J. Levandoski, Mohamed E. Khalefa, and Mohamed F. Mokbel. "An Overview of the CareDB Context and Preference-Aware Database System". IEEE Data Engineering Bulletin, 34(2): pp. 41-46, June, 2011. Ahmed Eldawy and Mohamed F. Mokbel "The Era of Big Spatial Data". In Proceedings of the ICDE International Workshop on Cloud Data Management, CloudDM 2015, co-located with ICDE 2015 , Seoul, Korea, April 2015. Abdeltawab Hendawi and Mohamed F. Mokbel "Predictive Spatio-Temporal Queries: A Comprehensive Survey and Future Directions". In Proceeding of the first ACM SIGSPATIAL International Workshop on Mobile Geographic Information Systems, MobiGIS 2012, co-located with SIGSPATIAL GIS 2012 , Redondo Beach, CA, November 2012. (Best Paper Award). Mohamed Sarwat, Jie Bao, Ahmed Eldawy, Justin J. Levandoski, Amr Magdy, and Mohamed F. Mokbel "The Anatomy of Sindbad: A Location-Aware Social Networking System". In Proceedings of the ACM SIGSPATIAL International Workshop on Location-Based Social Networks, LBSN 2012, co-located with SIGSPATIAL GIS 2012 , Redondo Beach, CA, November, 2012. Chi-Yin Chow, Jie Bao and Mohamed F. Mokbel. "Towards Location-based Social Networking Services". In Proceeding of the 2nd ACM SIGSPATIAL International Workshop on Location Based Social Networks, LBSN 2010, co-located with ACM SIGSPATIAL GIS, San Jose, CA, November 2010, pages: 31-38.